Professionals, school laboratories and amateurs can now gain this new, extra affordable digital MSO oscilloscope in a limited offer. 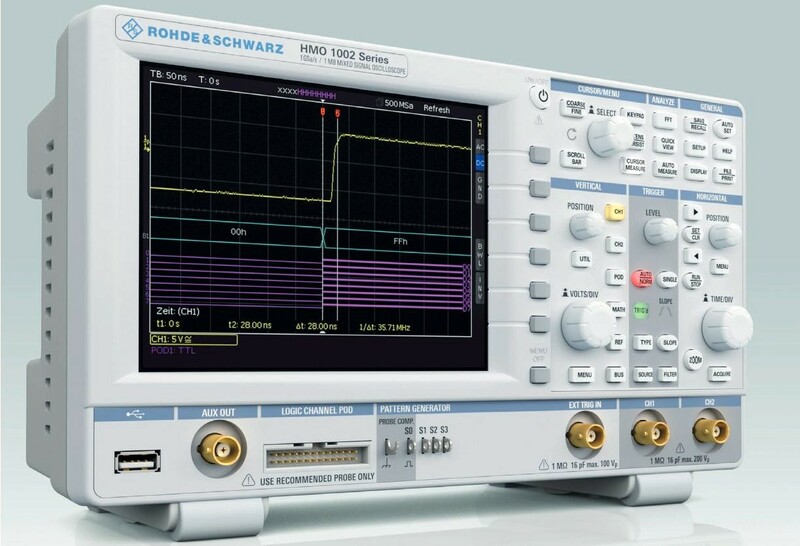 Probably you may have noticed, that company Hameg became a member of Rohde&Schwarz group and new oscilloscopes already carry only an R&S logo. However the name of series HMO remains, which represents for several years products with an excellent price/ performance ratio. This time a new member was added to the HMO series – HMO1002, further decreasing a price level while maintaining many features, which usually can´t be found in this price level. For a standard recommended retail price of 798 Euro it provides really a lot. 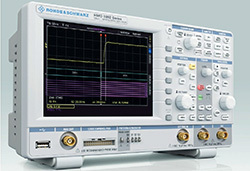 Moreover, now we offer you a special limited offer in which you can purchase this oscilloscope for only 610 Eur. The offer is valid for the first five pieces and only until stock sell-out. Updated: The first 5 pcs are sold out. After agreement with the producer, soon (in the W43) we´ll have 5 pcs yet – for the same special price. The 2-channel 2×50 MHz oscilloscope offers a full MSO functionality and after buying an external logic probe HO3508, we´re able to watch analog and digital signals on one screen at once (ideal for measuring AD/DA converters and similar). With a 1Gsample/s sample rate (512Mhz/ channel), 128k FFT, function generator and various math functions, it provides wide possibilities for analysis of circuits. Unique in this class is a 50 MBit/s arbitrary generator, allowing to create 4 bits wide and 2k long custom samples. At the same time, this generator can be set for example in a way to obtain 25 MHz signal (clock) on its output.